The U.S. Coast and Geodetic Survey used tide prediction machine No. 2, fondly referred to as "Old Brass Brains," to predict tides from 1912-1965. 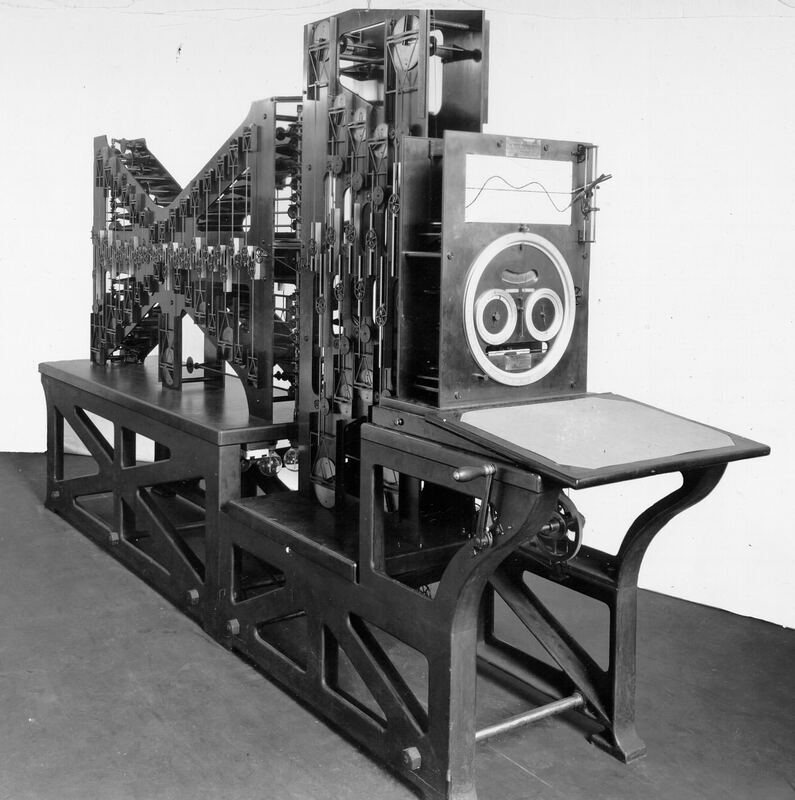 It was the first machine made to simultaneously compute the height of the tide and the times of high and low waters. Today, tide predictions are made on electronic computers.